The RAV4 is one of the Toyota models that will change. ANN ARBOR, Mich. -- Toyota Motor Corp. is racing to make its cars stronger in frontal crash tests after some vehicles, including the RAV4 compact crossover, were stung by poor safety ratings. Engineers at the Toyota Technical Center here have been reworking designs since last year, said Osamu Nagata, CEO of Toyota Motor Engineering & Manufacturing North America Inc. and head of all local manufacturing and r&d. Toyota plans midcycle vehicle changes so the cars perform better in so-called small overlap frontal crash tests, he said. The tests, performed by the Insurance Institute for Highway Safety, simulate what happens when a driver crashes the left front quarter of his vehicle into an object such as a tree or pole. They are not yet included in the federal government's five-star ratings. But researchers say they are responsible for an outsized share of driving deaths. The IIHS ratings have become a major marketing factor for brands that perform well. In December, the Toyota Camry and Prius V fared at the bottom of the field among mid-sized sedans tested and were rated poor, the lowest designation. 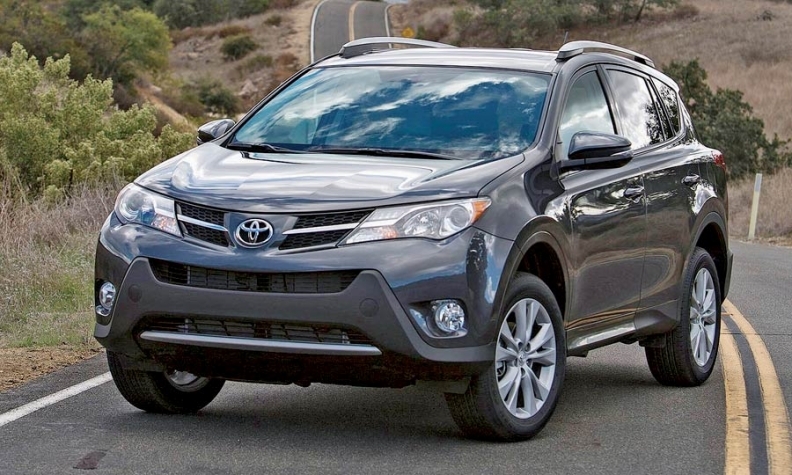 In July, the RAV4 racked up another poor rating despite getting updates to improve stability and padding. "We are now implementing some design countermeasures to improve our small overlap results," Nagata said in an interview. Fixes will be made "as soon as possible" to the RAV4 and other vehicles, Nagata said. He did not identify other nameplates. "Each vehicle has its own countermeasure schedule," Nagata said. "As soon as designs are ready and parts are fixed, we'll have running changes for any vehicle, not only the RAV4." Toyota would not say which vehicle gets the next upgrade. Nagata did not give details of the changes. But fixes likely will include strengthening structural parts, he said. "We will make sure the customer feels safe," Nagata said. "Some products are still best safety picks under the IIHS recommendations, so this is our additional challenge." Toyota spokeswoman Cynthia Mahalak said 21 Toyota, Lexus and Scion models were named 2013 Top Safety Picks by the IIHS. But cars performing poorly in the small overlap test can still receive top-pick status if they perform well in the IIHS's four traditional tests. To get the best rating of Top Safety Pick+, the vehicle needs a good or acceptable small overlap result. By that measure, only the Scion tC qualifies. IIHS began using the tests last year but telegraphed the change to carmakers in 2009, institute spokesman Russ Rader said. Some manufacturers, including Honda Motor Co. and Subaru, were quicker to incorporate design changes than others, he said. The IIHS released its latest batch of small-car test results this month. But it delayed testing of the Toyota Corolla because a redesigned car is coming to market soon. Rader said the IIHS is testing the Corolla this month and will release its small overlap appraisal in a few weeks.